The ‘Living on the Margins’ exhibition incorporates images and films from a range of research projects conducted by academics at the Centre for Development Studies (CDS), University of Bath. These projects explore themes relating to conflict, reconciliation and livelihoods in the aftermath of war in Sierra Leone, Cambodia and other contexts. The focal point of the exhibition will be an illustrated essay produced by University of Bath researchers (in collaboration with PositiveNegatives and SOAS), which explores the role of borderlands in post-war Sri Lanka and Nepal. 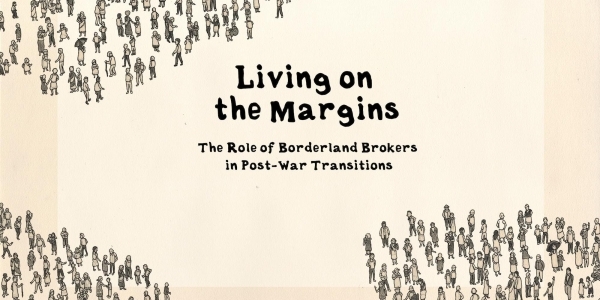 The narrative follows the lives of four individuals who have represented or mediated the interests of borderland communities during and in the aftermath of war. This evening event will launch the ‘Living on the Margins’ exhibition. It will start with a short talk by Dr. Oliver Walton (Univeristy of Bath) and Professor Jonathan Goodhand (SOAS) about the ‘Living on the Margins’ project, followed by a Q&A and a drinks reception, during which guests will have a chance to explore the exhibition in their own time.